How many children will be hit by this thing because they ran into it, distracted by the bright colors? How many HKids does it take to screw up an Aussie tram car ? The person who designed this should be shot! I saw this tram last week and thought of you. Glad to see someone else did more than just thinking of sending it to you! I loved Hello Kitty when my daughter was young and love the re-introduction of it now! Cute…….. 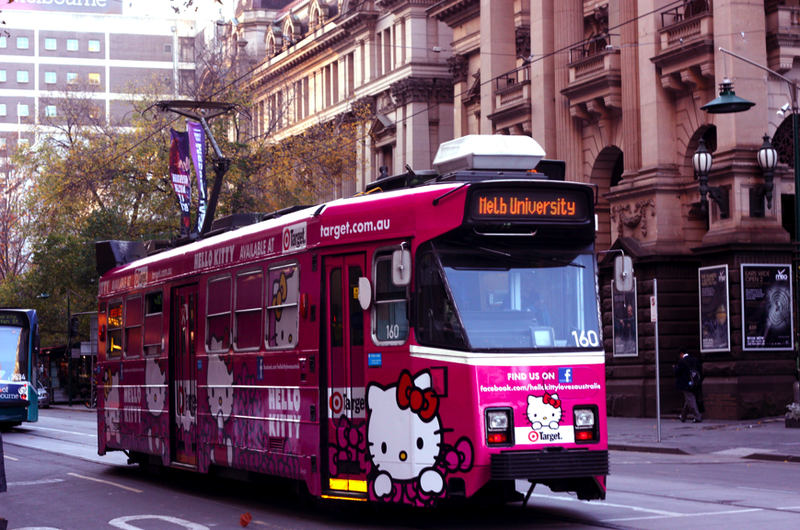 The hello kitty car is so cute. I think every girls dream sitting on it . I also want to do this. I must have taken one too many of those HK pills. Where the HK hell is my previous comment ? That’s a tram idiot, not a street car.